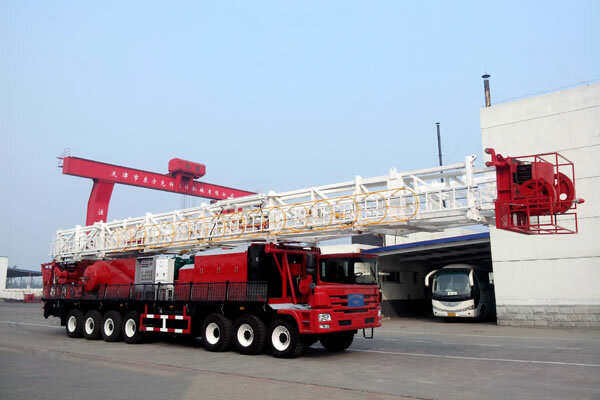 The XJ850 truck mounted workover machine adopts double engine compound power system, which can achieve the shift between vehicle transportation and drilling operation, between single engine and double engine through compounding of the gear. 1. 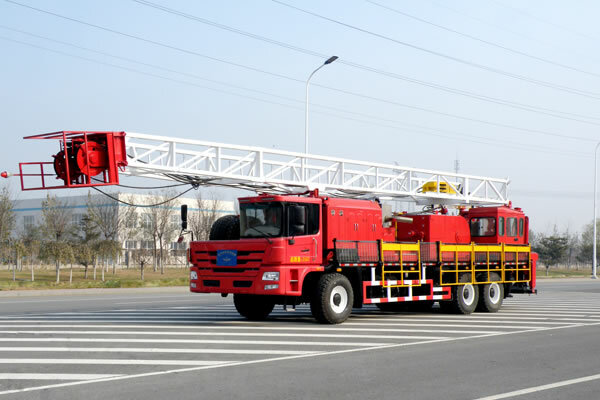 The mast adopts 38m, 39m double-section hydraulic mast with raising and telescopic function. 2. The chassis is 14×10 type, with a good off-road performance. 3. The auxiliary brake adopts pneumatic water cooling disc brake. 4. The rotary table uses five forward, five reverse and anti-reverse rotation system. 5. The maximum static hook load is 2250KN. 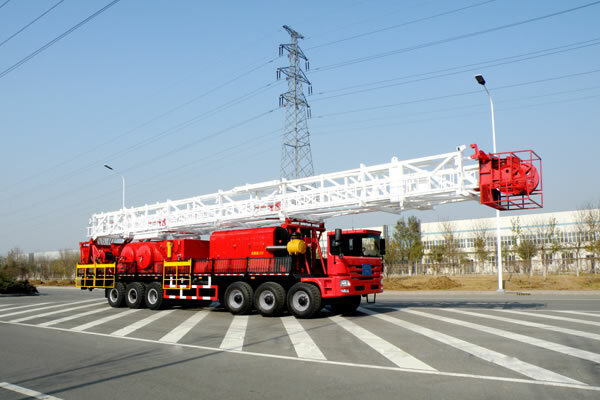 It can achieve heavy repair and side tracking when equipped with substructure and associated parts. 6. It is mainly used for work-over operation of middle and shallow wells. 7. 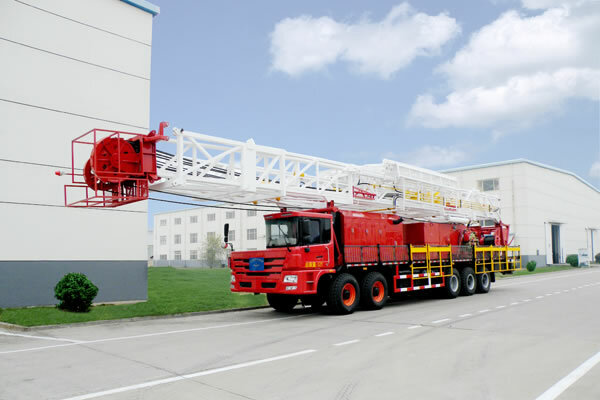 Its main working system includes the lifting system and rotation system.